Fun & sewing with friends! 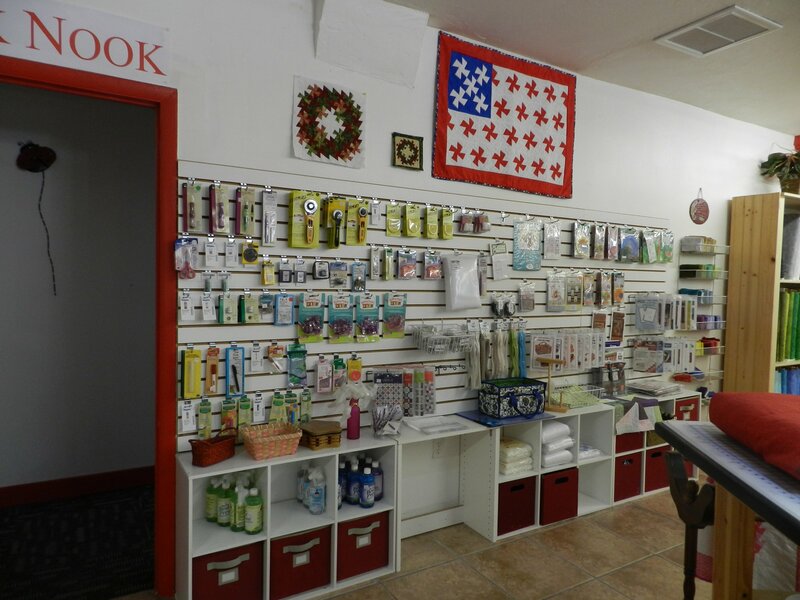 Ladybug Quilt Shop, located near the central hub of Jacksonville, has been serving customers since 2009. 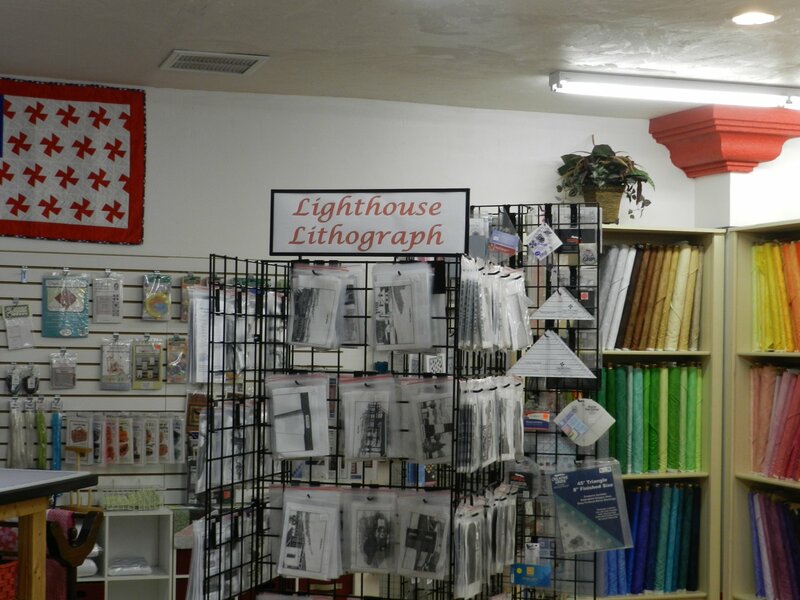 Our friendly staff has over 30 years combined quilting experience, to help you with any sewing project. Our designer collections of solid and print fabrics include Fairy Frost, Art Gallery, Asian Inspired, Batiks, Stonehenge, Blenders and more. 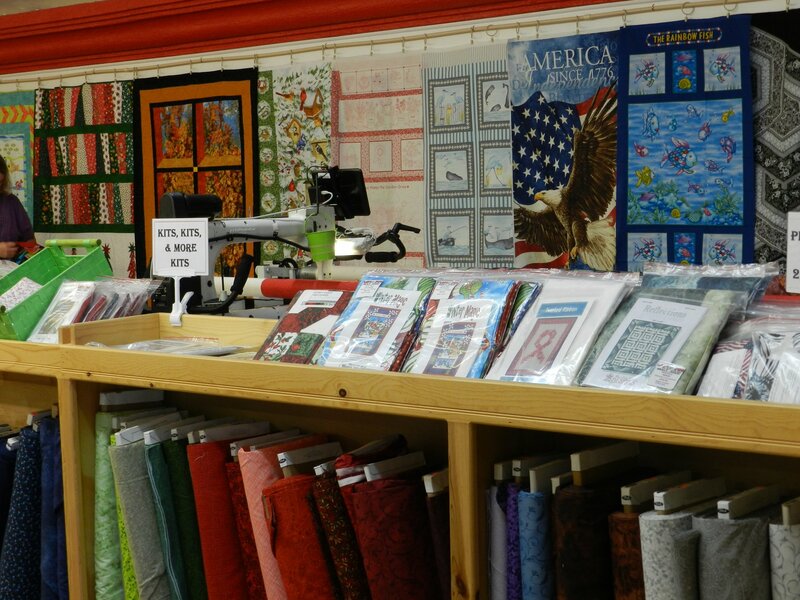 Ladybug Quilt Shop carries hard to find quilt backing in 108” and 118” widths. 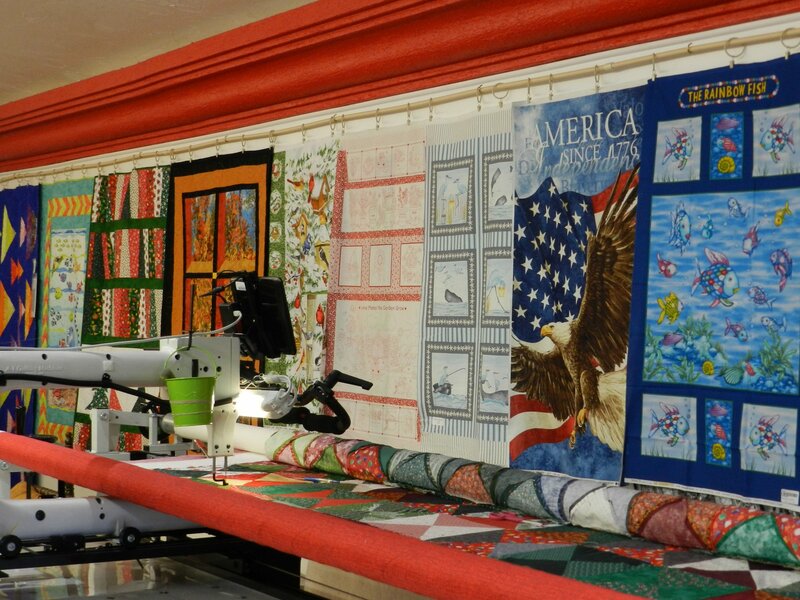 We also provide high quality Longarm quilting service. 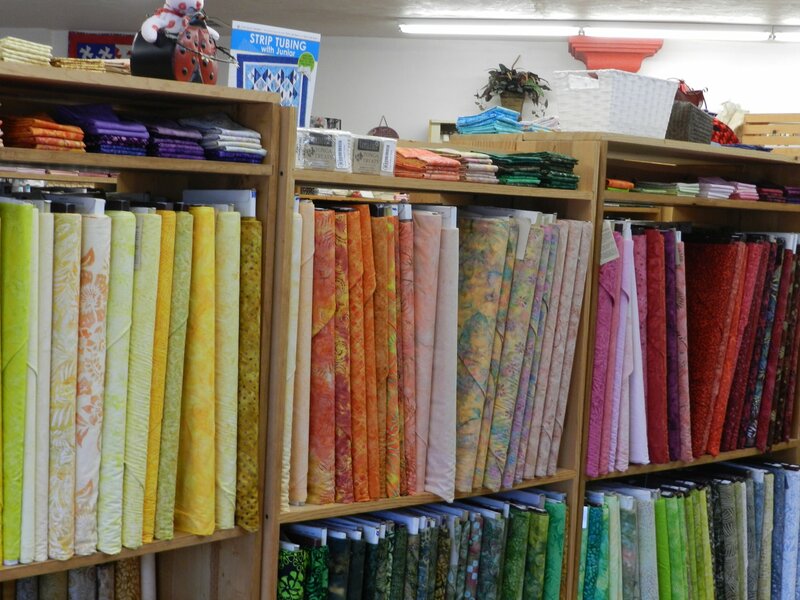 Receive 10% off your next fabric purchase. Winter is almost over, well, officially anyway. I know everyone is looking forward to Spring and all the newness it brings. We have updated our class calendar through the end of May. There are so many new things coming. Click on the calendar from our home page to see all the new classes. We have several small projects that you will complete in class on the schedule. 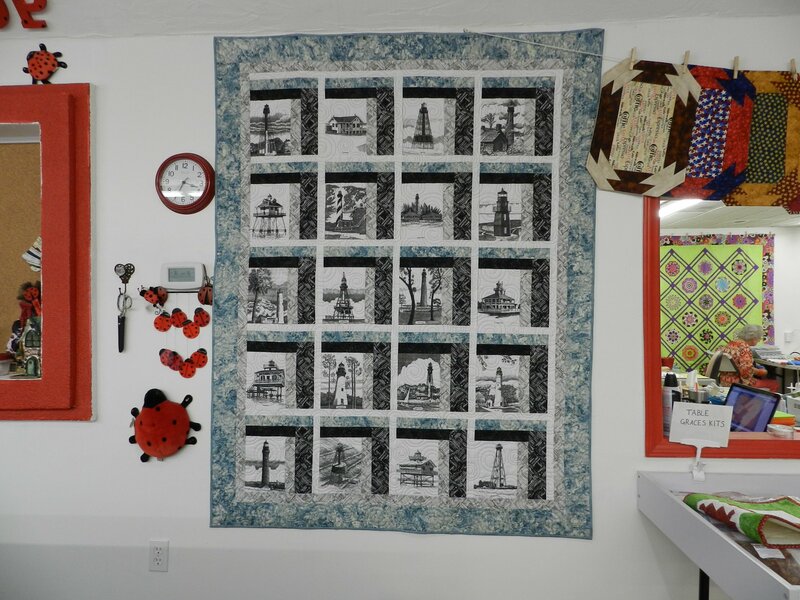 Many of you have heard me talking about the Mystery Quilt class. Well it is on the calendar in May! We hope to do several of these a year. They are so much fun. We also have a couple lock-ins scheduled. Join us Feb 8th and let's make pillow cases for Ronald McDonald house. I have a bunch of kid friendly fabrics in my stash that we can use, or you can bring some from yours. The next lock-in is April 26th. That one is a UFO evening! I'm sure we all have some of those. You can sign up for classes online! Simply add the class to your cart and follow the prompts. (You can sign up in the shop too!). That will hold your place in the class. Please sign up so we know how many to plan for. If you have a long arm and would like to add a computer to it, come see me! The Quilt EZ Butler is great! So easy to use! We can add it to your current long-arm or mid-arm as long as you have a stitch regulator (or we can upgrade your stitch regulator). Come see me! Why buy a new long-arm, just add a Butler!